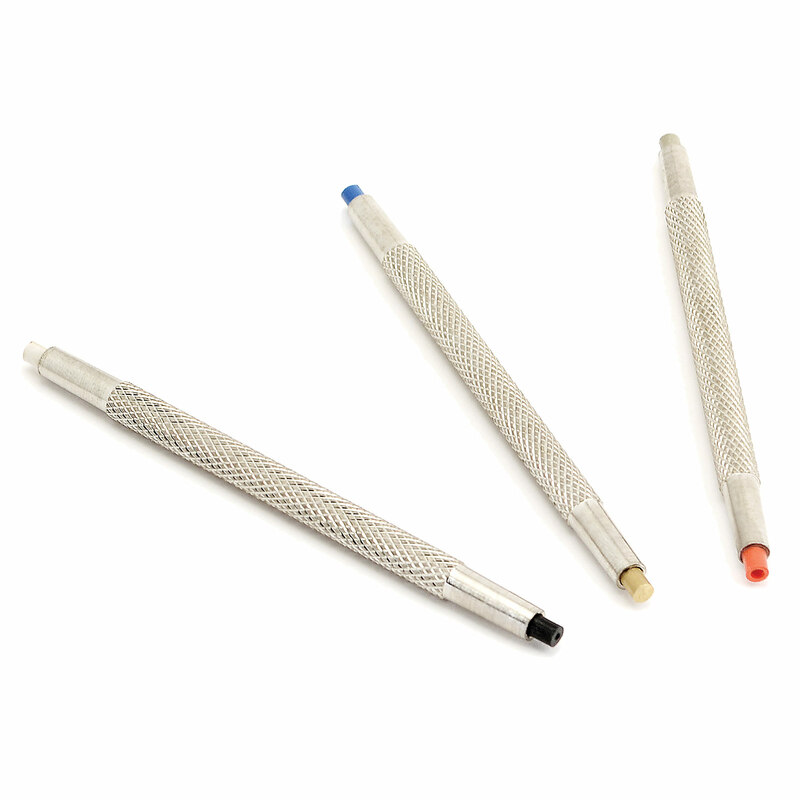 Used by timepiece technicians to press hands, gears and bushings onto micro-sized shafts, these double-ended knurled metal handles have plastic tips with holes that clear shafts during the pressing operation. 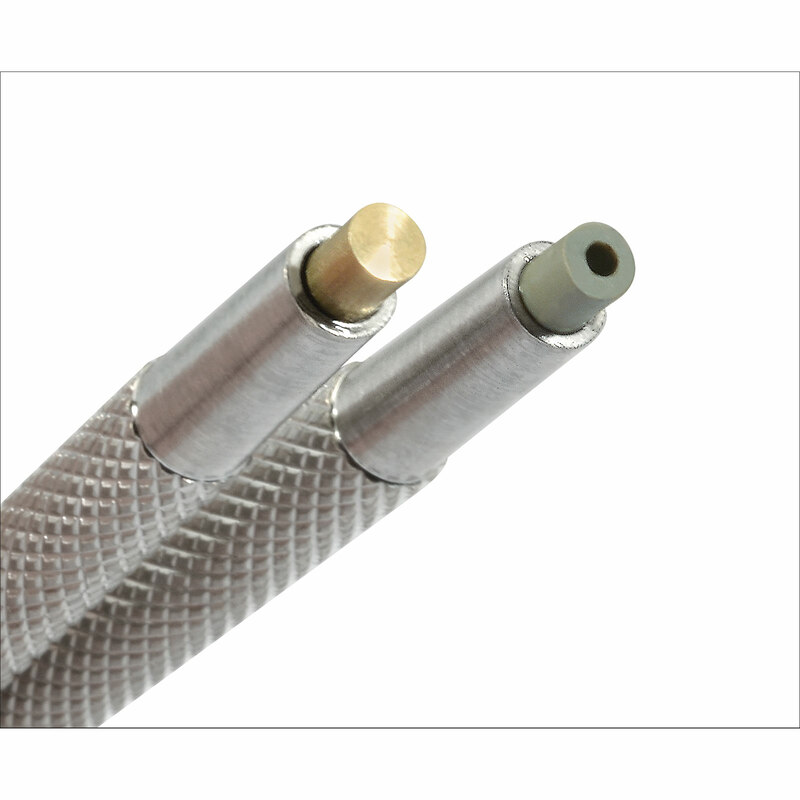 Tip diameter 1/8 inch; five holes range in size from .018 inch to .078 inch diameter. One tip is solid brass for pushing flush to end of shaft.